What is the “Welcome to Medicare” preventive visit? A one-time free and easy benefit that helps you and your doctor plan for your health. The visit helps develop a personalized plan to prevent disease, improve your health, and help you stay well. Make sure you’re up-to-date with preventive screenings and services, such as cancer screenings and shots. It’s free. There’s no copayment or deductible for the visit. You can sign up for the visit during the first 12 months you have Medicare. After the first year, you can get a yearly “Wellness” visit for free. At Long Beach Walk-In Medical Clinic we offer same day appointments. Don’t delay. Schedule your “Welcome to Medicare” preventive visit today! 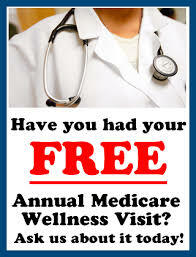 The visit is covered by Original Medicare (Part B) and Medicare Advantage Plans with $0 copayment. Under the new healthcare law, the visit is now free to those with Original Medicare, and to most people with Medicare Advantage Plans.